You can have beauty. You can have function. And you can have beauty and function. To me, beauty and function is what this 20 gauge Beretta Onyx is all about. With it’s matte-black finish and it’s figured wood, it’s one of the best looking — and best shooting — grouse guns you’re going to find. I’ve always loved matte-black Beretta 686 Onyx OUs.If the original ones had any problems, it’s was their wood: It was as figured as a 2×4. This 686 has solved that problem by upgrading the buttstock and forend with some fantastic walnut. It’s on Gunbroker.com now and the listing ends Sunday, 9/18/2016 @ 9:42 PM. 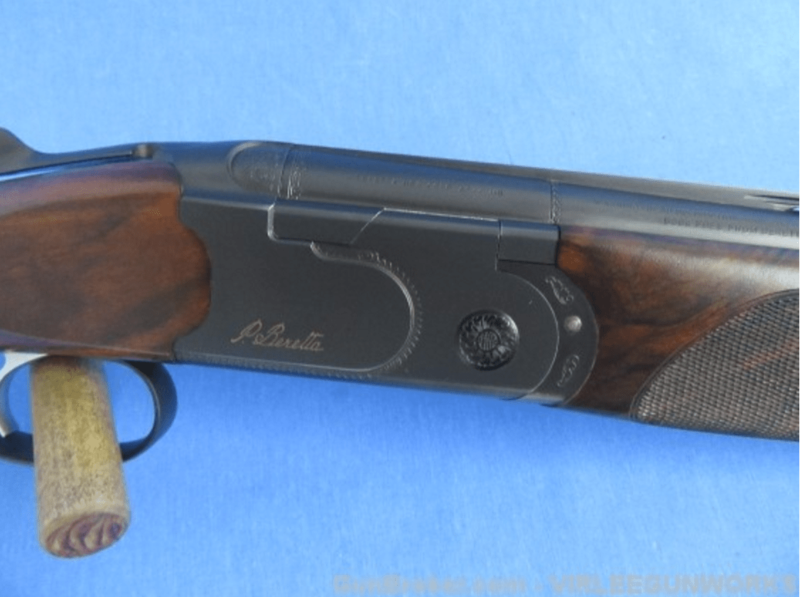 Beretta 686 Onyx OU 20 Gauge 28″ Custom Walnut: This is a “Custom Stocked” Beretta model 686 Onyx field grade over/under shotgun in 20 gauge. The barrels are 28 long with 3″ chambers. The gun comes with 4 choke tubes and a choke wrench. 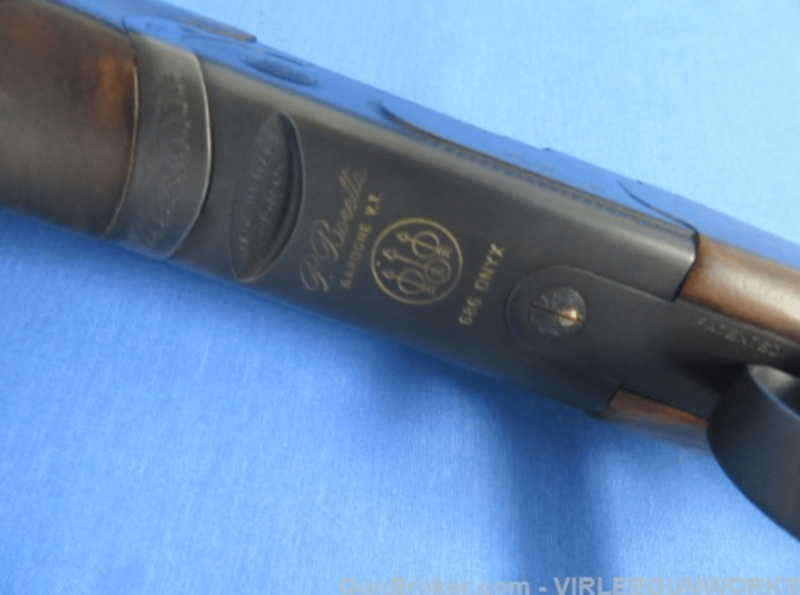 The “English” style stock and forearm were replacement select walnut from Cole’s Gunsmithing. The gun has single select trigger with ejectors. The selector is with the top tang safety. The metal is excellent with light wear to the bluing on the bottom left on the fore arm metal. 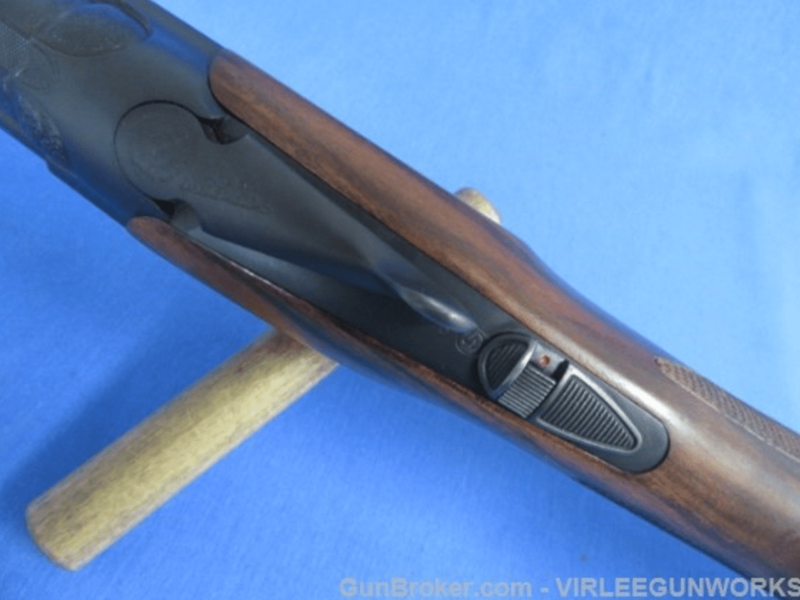 The wood is in VG+ to excellent condition with one nick left side center by the recoil pad. there is a few light scratches on the bottom center of the stock.